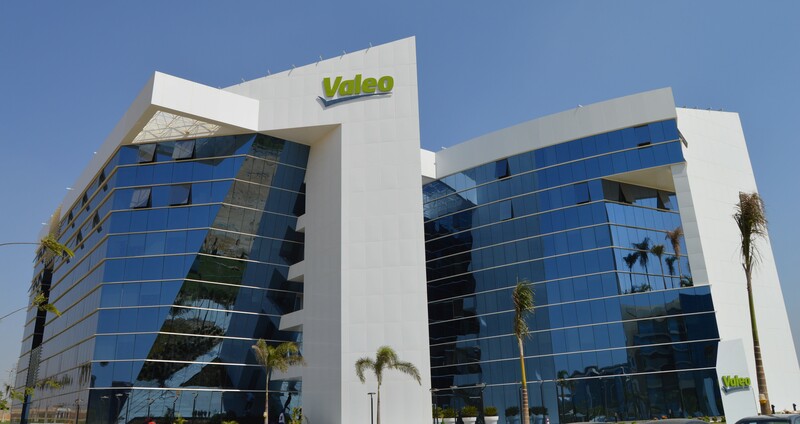 Cairo, September 23, 2018 - Valeo is ramping up its operations in Egypt with the inauguration of a second building for its R&D software development center in Smart Village, Cairo, making it the largest R&D center in the country. The opening ceremony took place with Jacques Aschenbroich, Chairman and CEO of the Group. To support Valeo’s growth worldwide, the R&D center in Cairo is growing fast with the recruitment of 400 engineers by 2020 to reach a total of 2,000. As an innovative company offering systems for CO2 emissions reduction and automated driving, Valeo is at the epicenter of the three revolutions that are shaping the automotive industry: electrification, autonomous vehicles, and digital mobility. The Group designs and manufactures technology-packed products destined to play an increasingly essential role in the vehicles of the future. Valeo engineers in Cairo are actively contributing to developing the latest software solutions for Valeo cutting edge technologies, in cooperation with all of Valeo’s R&D centers throughout the world. For example, Cairo-based Valeo engineers have developed various software enabling innovative technologies such as Valeo Park4U – automated parking, LED/Laser beam technologies and Stop-Start. Founded in 2005, Valeo Egypt is the Group’s main software development center and the largest one in Egypt today, with 2 offices covering more than 20,000 square meters in Smart Village. It has grown from 25 engineers to 1,600 today, and is planning to continuously hire new talents to reach a total of 2,000 employees by 2020. Valeo Egypt’s main focus is to design, develop, maintain embedded software modules & systems for the automotive industry. Cairo-based Valeo engineers have developed various software enabling innovative technologies such as Valeo Park4U – automated parking, LED/Laser beam technologies and Stop-Start. Since 2015, Valeo Egypt has been actively contributing to Valeo’s software innovation activities globally through locally developed patents, publications, and new product development and has since then introduced an Innovation Car lab in Cairo that delivers advanced automotive technology proofs of concept. Valeo is an automotive supplier and partner to automakers worldwide. As an innovative company offering systems for CO2 emissions reduction and autonomous cars, Valeo is at the epicenter the three revolutions that are completely reshaping the automotive industry: electrification of the powertrain, autonomous and connected car and digital mobility. The Group designs and manufactures technology-packed products destined to play an increasingly essential role in the vehicles of the future. The Group also provides and distributes spare parts for automakers and independent aftermarket operators. In 2017, the Group generated sales of 18.5 Billion Euros and invested over 12% of its original equipment sales in research and development. Valeo has 185 plants, 20 research centers, 36 development centers and 15 distribution platforms, and at June 30, 2018, employs 115,000 people in 33 countries worldwide.